The Verge writes Microsoft is developing a new line of "Wedge" keyboards for its Windows 8 operating system. The Wedge Mobile keyboard seems to be a small keyboard designed for mobile use and appears to come with some type of cover. 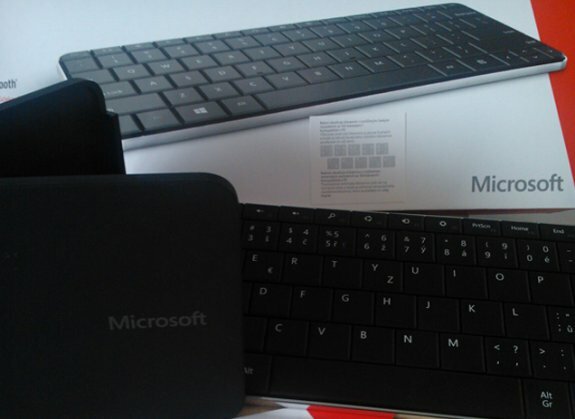 The Wedge keyboard will be "introduced very soon" according to the site, and will be sold together with Windows 8. Microsoft previously revealed that its hardware partners will start to use the new Windows logo on PCs and phones later this year, with the company's Surface device adopting it too.